OK so I took my time about it, but in my efforts to put Maw Broon’s(click the name for a link to the website!) sauce through it’s paces I had to take my time and give it a proper “road test” so to speak. 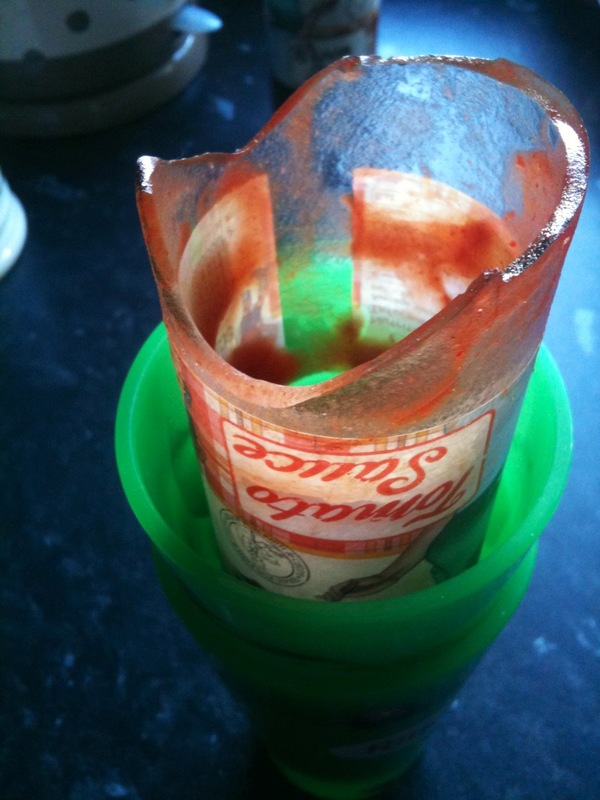 I’d love to show you a better photo of the Tomato sauce bottle alas it arrived with the bottom sheered off, there was some I managed to save (fear not, I did sieve before I offered it to hubby to make doubly sure glass shards were not present)! The Broons family hold a special place in most Scottish folk’s hearts, It’s a tradition, a wee piece of history and dear to us. Along with Oor Wullie and The Beano it was the first thing me and my class mates really were obsessed over in Primary school. Remember when Gnasher went missing? Traumatic, doesn’t even cut it! However that said, since I am no longer a bairn my tastes have changed somewhat, and if truth be told I am normally quite wary of something with a celeb name attached etc(want my bloke to smell like Peter Andre? um…no thanks). About as close as I come is the occasional tin of Peppa Pig spaghetti shapes lurking in the shadowy bit in the pantry. I like to pretend I don’t buy them. And also like to pretend when someone does spot them that they are for the children, and not me. I’m shameless I know. 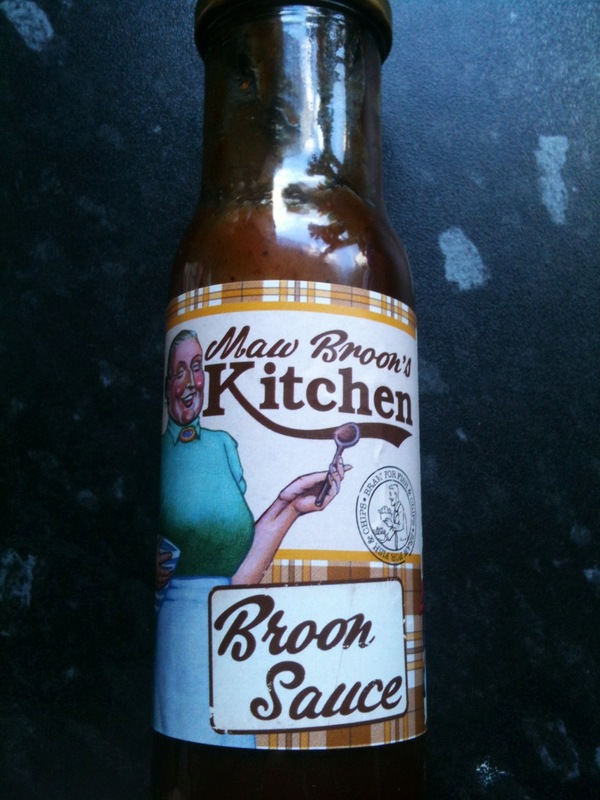 My attention was still drawn to Maw Broon’s Sauces, not only for the nostalgic trip down memory lane, but I was hoping for something more. If the sauce doesn’t stand up on it’s own merits then it’s just cashing in on a name. It may appear to tourists or be a great gift for a ex pat friend, if it’s rubbish though I won’t buy it again. Luckily having read through Maw’s cook books I realised this was no ordinary stick-a-cartoon-character-on-the-bottle-to-flog-to-the-kids affair. The books have real recipes in them! I am coming to realise there is something “genuine” about seeing her famous form on a product and the sauces are a reflection of just that. 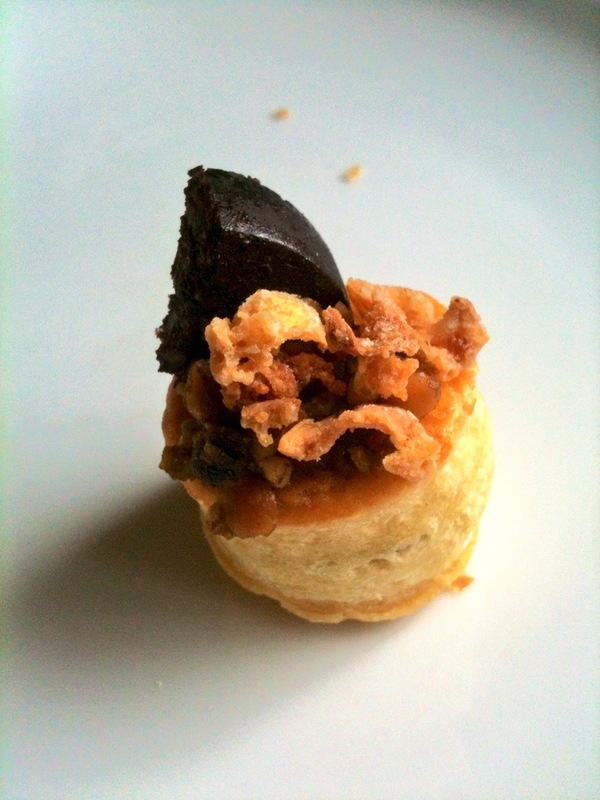 Made in small batches, and with the best tasty ingredients these are the REAL deal. 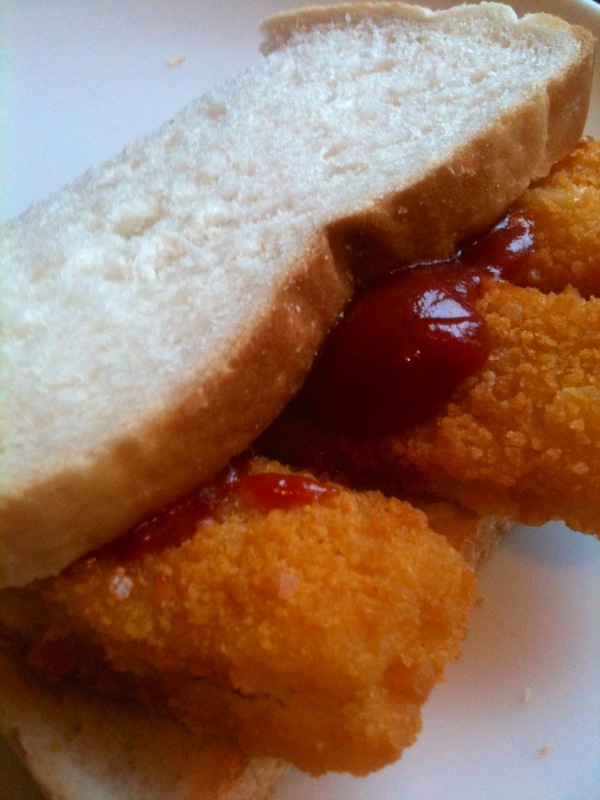 The Tomato sauce is tomatoey with a tang and is reassuringly thick, nothing unlike the over processed, super smooth stuff I normally stick on my fish finger butty(the true test of a ketchup in my view. Hubby disagrees and had it on his fry up for the “ultimate” test)! In short we both thought it delicious! 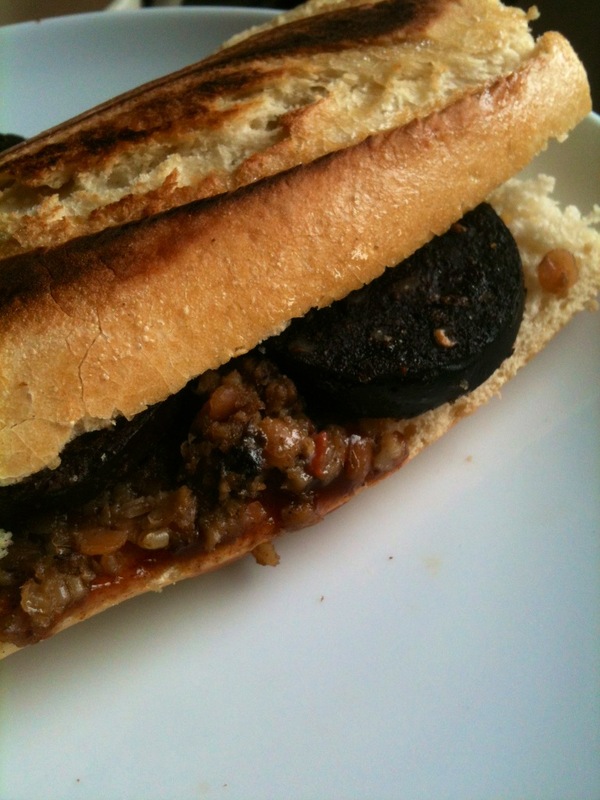 We have since tried the Broon sauce, it was fabulously spiced and fruity on the haggis, black pudding and crispy onion panini we had for lunch(and the vol au vents I faffed about making too)! If you have a friend who loves The Broons, who happens to be a foodie type too, you could do worse than get them a bottle of this. It’s no gimmick, just honest and tasty, just as you expect from Maw.